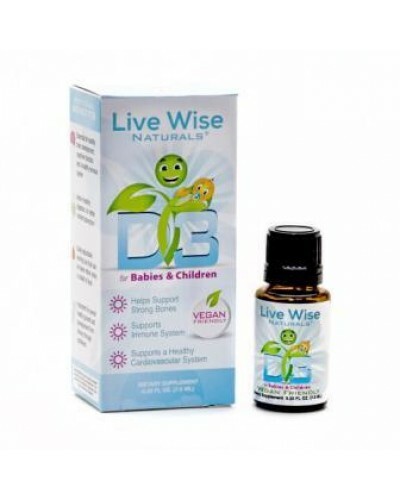 Live Wise Naturals Baby D3 utilizes plant-based vitamin D3 from edible lichen to promote a wide variety of vital functions in your child’s body. From the support of healthy cognitive function and brain development, to the healthy functioning of the eyes, bowels, and immune systems, and helping to reduce chronic inflammatory and autoimmune conditions. 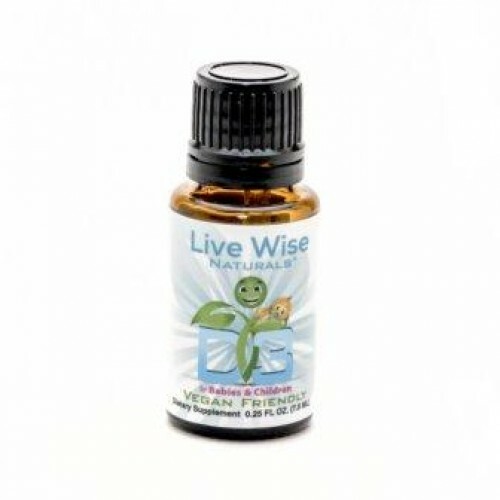 Live Wise Naturals Baby D3 is a unique liquid formula specifically for children and developed for those who prefer a form of vitamin D3 that isn't derived from lanolin. This plant-based liquid formula is in the natural form of vitamin D (cholecalciferol), the same form our bodies make from sunlight and the form our bodies absorb best. Vitamin D deficiency is common around the world and many families are unaware that they may be lacking this important nutrient. The Centers for Disease Control and Prevention (CDC) reported that 32 percent of children in the US were vitamin D deficient. 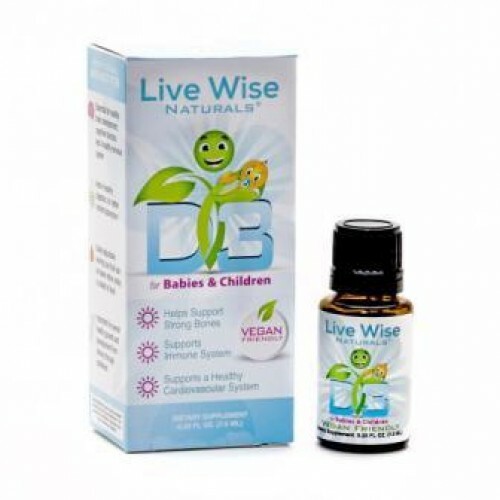 The National Health and Nutrition Examination Survey found that 50% of children aged one to five and 70% of children between the ages of six and eleven are deficient in vitamin D.
Choosing to use edible lichen as it’s source of D3, Live Wise Naturals Baby D3 is suitable for vegans, strict vegetarians and parents who prefer a non-lanolin, non-animal based form of D3 for their children. 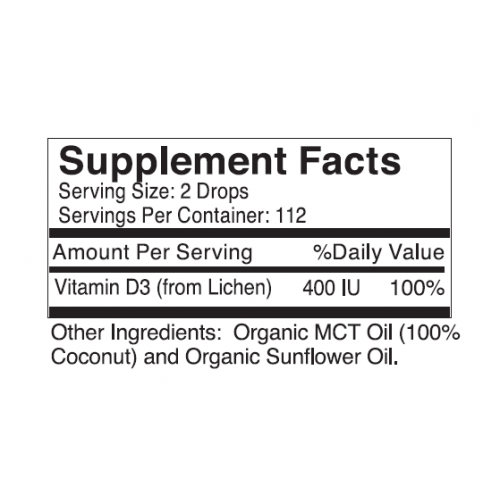 Vitamin D3 (as cholecalciferol from Lichen), Organic MCT Oil (100% Coconut), and Organic Sunflower Oil. All ingredients are non-GMO. Since we use only natural ingredients you may notice differences in taste and color from bottle to bottle. This is normal. Take 2 drops orally, per day, or as recommended by your physician. For best results, use with meals containing fat. Designed for optional split dosage (2 times a day) for optimal absorption. If you are pregnant or breastfeeding, consult your health care practitioner before using.